Our new High Country Deluxe has a middle layer of uniquely designed 'High Country' Merino Fleece which has an amazingly thick loft to resemble the Merino sheep's natural fleece. It provides ultra-warmth, superior insulation, greater breathability & moisture wicking properties. Our 'High Country' merino fleece plush and airy feel creates an extremely comfortable sleep environment for your little one, keeping your child warm, safe and snug all through the night. //GUARANTEE// We believe Nature is better than plastic. Our High Country Merino FLEECE is 100% NATURAL, breathable & safe. It is made in New Zealand and guaranteed FREE from any polyester (as found in other Merino Fleece linings on the market). The inner lining of our High Country Deluxe is a luxuriously soft Merino/Tencel blend. Made from the pulp of sustainably grown eucalyptus (think Bamboo), Tencel is natural, unbelievably soft, eco-friendly and its moisture wicking abilities are second to none. Blended with Merino wool this is one of the softest and snuggliest fabrics available. Attached to the inner lining is a 'Snug-Spot' - a unique panel of pure merino fleece, designed to help keep your baby's core at the right temperature all night long. Our new High Country Deluxe has the feel and warmth of a luxurious down duvet. It is the only sleeping bag in the world to feature a triple layer of merino; a middle layer of our thick unique 'High Country Merino' fleece, a merino inner lining AND a merino fleece Snug-Spot, making sure you baby is kept safe and snug even in the chilliest winter nights. International Award Winning Snugbags are New Zealands best selling MERINO sleeping bags! Merino is natures wonder fibre, it has the unique ability to regulate your babies body temperature ensuring your little one is comfortable and snug all night without the risk of overheating. The ultimate Winter sleeping bag featuring a triple layer of Merino Wool with a middle layer of unique 'High Country' MERINO FLEECE. Our WINTER DUVET MERINO sleeping bag is designed for the coolest months of the year and as a guideline would be similar to wearing one sheet and one thick duvet.Our WINTER HIGH COUNTRY DELUXE MERINO sleeping bag is the warmest sleeping bags available whilst still being very soft and comfortable for your little one to sleep in. 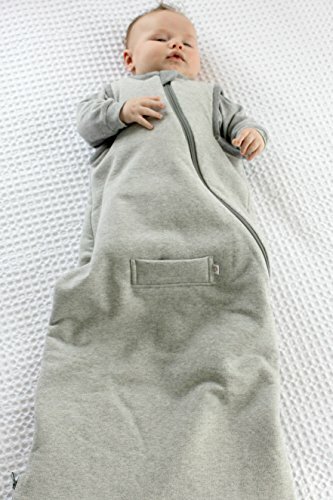 With clothing alterations this sleeping bag can be safely used in room temperatures between 12 - 20 degrees C.
For parents who only want the best. All our sleeping bags are handcrafted in New Zealand by our own master tailors to the highest possible standards. We only use New Zealand Merino which is of far superior quality. An innovative handy seatbelt slot allows for easy travel between crib, car and pram. Available in two sizes; 0-2yrs and 2-4yrs. Easy to care for and machine washable max 40 degrees C (105 F). Manufacturer: SNUGBAGS - Merino for Kids. MADE IN NEW ZEALAND. Publisher: SNUGBAGS - Merino for Kids. MADE IN NEW ZEALAND. Studio: SNUGBAGS - Merino for Kids. MADE IN NEW ZEALAND. If you have any questions about this product by SNUGBAGS - Made in NZ, contact us by completing and submitting the form below. If you are looking for a specif part number, please include it with your message.